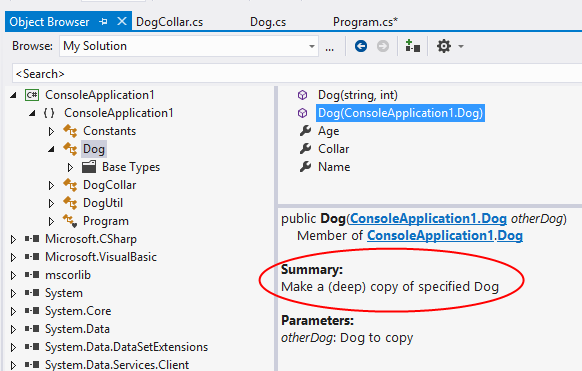 When you include a copy constructor or Clone method in your class, you should let users of your code know whether these operations are doing shallow or deep copies. 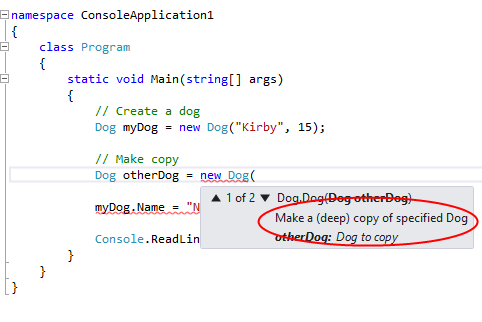 You can indicate whether the copy operation is shallow or deep using XML Documentation Comments. These comments will then be exposed to Intellisense and within the Object Browser in Visual Studio. (Provided that you have access to the source code).